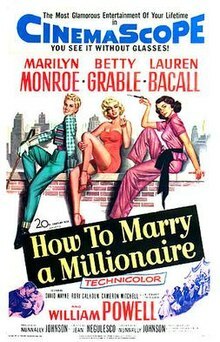 Do any of you remember the movie, “How to Marry a Millionaire”? It starred Lauren Bacall, Marilyn Monroe, and Betty Grable. The gals rent a luxurious penthouse in New York City from a fellow, Freddie Denmark, who is avoiding the IRS by living in Europe. The gals plan to use the apartment to attract rich men and marry them. When money is tight, one of the gals pawns some of Freddie’s furniture, without his knowledge. To their dismay, as winter approaches, the furnishing continue to be sold off as they have no luck. The concept was/is so universally popular that two screenplays were based on the plays: The Greeks Had a Word for It by Zoë Akins and Loco by Dale Eunson and Katherine Albert. The point may be that when shopping for a rich husband, everything starts with real estate: location, location, location. I am having great success with my letter to meetup/book clubs. Perhaps you would like to read my original letter. THE CUSTOM OF THE COUNTRY by Edith Wharton is one of those novels I wish I had written. The ending was a knockout. There is still another novel I wish I had written: THE GHOST AND MRS. MUIR. Not having read the book, yet I loved the concept of a woman falling in love with a portrait of a sea captain and being guided by his inspiration to write a swashbuckling sea story. The film fell short of my expectations. Gene Tierney was too ordinarily sweet for the roll. How could Lucy write such a swashbuckling story? How could the captain fall in love with her and give her the strong romantic name of “Lucia” (a name he spoke full of wind and storm and mystery)? I realized the miscasting of “THE GHOST AND MRS. MUIR” and I cast it myself with Hedy Lamarr (apologies to you readers too young to know this actress). Hedy Lamarr carried a heavy aura of mystery about her that is almost impossible to reproduce in a photo of her. You will recognize the miscasting of Diane Keaton in the film “The Godfather”. Help yourself to choosing someone else for the part.